A wellness exam is a medical examination, such as a yearly physical check-up, that is aimed at early detection of disease and helping to ensure a healthy life for your pet. Recent studies done by both the American Veterinary Medical Association (AVMA) and the American Animal Hospital Association (AAHA) discovered some startling statistics that indicate visits to veterinarians are declining while instances of preventable diseases in pets are increasing. This is very alarming, as the numbers of pets in the United States have increased by more than 36 percent, according to the Bayer Veterinary Usage Study. The value of preventive care and early intervention in human and dental medicine has been well-established and accepted by the general public. Biannual dental cleanings, annual check-ups, bloodwork, bone density tests, annual eye exams and mammograms are just some of the preventative services that people receive to stay healthy and prevent future health problems. Depending on the breed and size of the pet, the average pet will age about five to seven years for every human year. That means that the health of a 7-year-old terrier is equivalent to that of a 35-year-old human. Because of your pet’s short life span (averaging about 14 years), it is extremely important that your pet receive preventive care at least once per year and twice per year for pets over nine years of age. There are many steps that occur during your pet’s wellness exam. A history is taken about the pet’s lifestyle. Next, temperature, pulse and respirationThe action of breathing. rates are recorded as well as the pet’s weight. Then the veterinarian will perform a head-to-tail exam. The pet’s eyes, ears, mouth, lymph nodes, heart, lungs, abdomen and musculoskeletal system are evaluated and recorded. 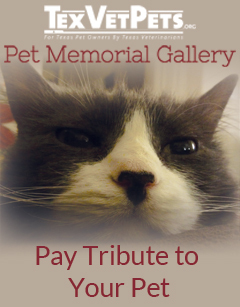 Recommendations will be made for your pet’s health. These recommendations could include dental care, nutritional counseling, behavioral advice and pain management. Any needed vaccinations are performed based on your pet’s lifestyle and the duration of immunity of the vaccines. 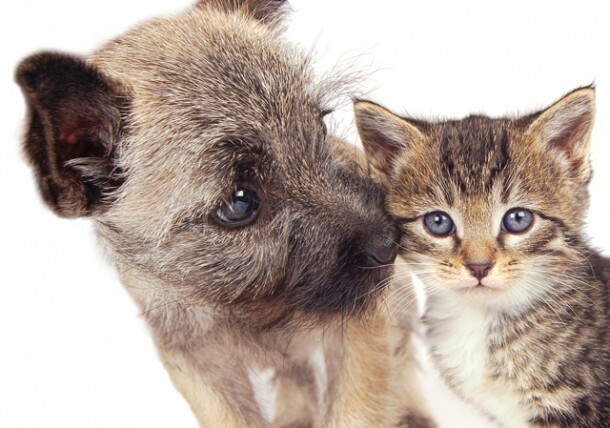 (Some pet owners choose to receive immunizations at “shot clinics.” While this is one way to ensure up-to-date vaccinations, you will not receive the many components that are part of a wellness exam and preventive healthcare for your pet.) Annual heartworm testing and intestinal parasite screens are performed to prevent zoonotic diseases (transmissible to people) and to prevent illness in your pet. Finally, based on the physical exam and lab work (if performed), recommendations are given to achieve and maintain optimal health for your pet. 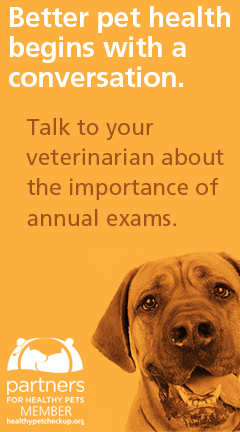 Why Are Wellness Exams Important for my Pet?